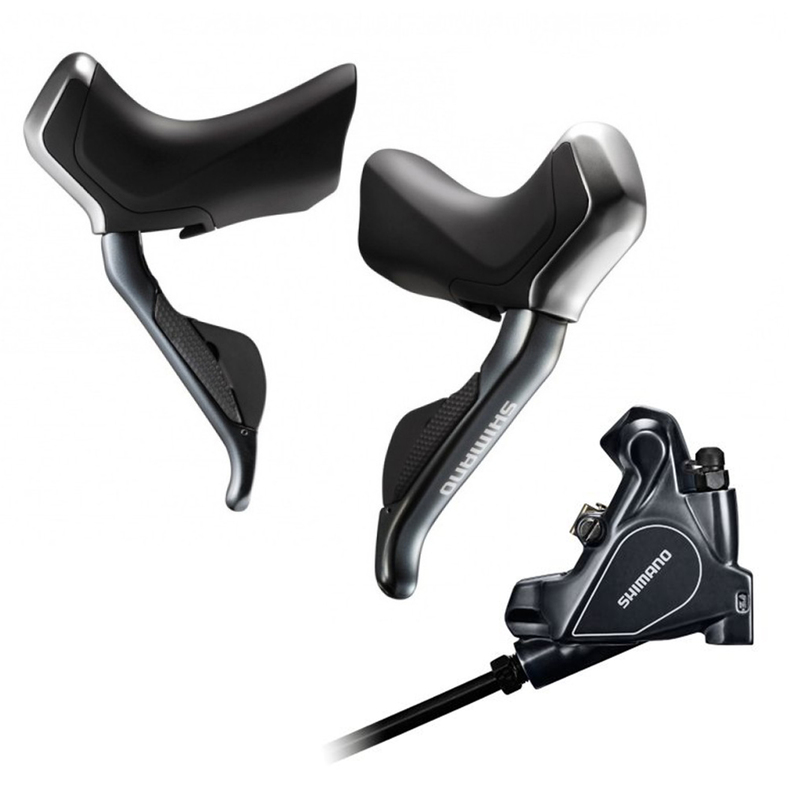 Kit containes ST-R785 Di2 Dual Control STI levers and BR-R805 Flat Mount Hydraulic Disc Brake Calipers with pads, hoses and mineral oil (without rotors or adapters). Having ridden a Trek bike with Di2 and thoroughly enjoyed the experience I decided to add Di2 to my Roubaix. I purchased the Di2 shifters, plus seat post battery and some cables from Merlin.. It took about four hours to complete the total modification of my Roubaix and right from the first ride the quality of the Shimano componentry has been faultless leading to more enjoyable cycling. Great modulation, a real step up in road bike braking in challenging conditions. Pricey but worth it.